If you own a pickup truck, you might want to consider putting a truck cap on it. Installing one not only lets you to protect your cargo, but it also gives your pickup added value. Because there are several styles and options to choose from, you can customize the look of your vehicle based on your personal preferences. Some studies have even found evidence that you may save in fuel costs when driving a pickup with a truck cap as it may reduce wind drag. No matter your reason for wanting to install one, it only takes a few steps and the help of a friend. In this article, Step 1 describes finding the right truck cap, Step 2 explains how to apply the weather stripping, Step 3 explains how to align the truck cap, and Step 4 describes how to secure the truck cap. Step 1: Locating the correct truck cap for your pickup. Truck caps are designed and manufactured for specific models of pickups. While most truck caps are made for specific pickups, there are caps that can fit more than one make. Not only should you check to see if it was designed for your model of pickup, but you should also double check the measurements to make sure it will line up properly during installation. Once you have found the truck cap for your pickup, it is time to prepare it for installation. The first step to putting a truck cap on your pickup is preparing it with weather stripping. You want to create a tight seal between the cap and your pickup bed. This will help fight wind drag, as well as assist in protecting your cargo from the elements. Step 1: Turn over your truck cap and lay it on a soft blanket or sheet. Do not lay it on an uncovered surface. To prevent scratching and denting of your truck cap, you should place the blanket on a flat grassy or unpaved area. You will need the help of a friend to turn it over and gently place it down. Step 2: Apply weather stripping. Adhesive foam stripping should be used to create a tight seal. If the weather stripping did not come pre-cut for the truck cap, measure needed lengths and cut with scissors. Apply the stripping to the bottom edge of the entire cap, with the sticky adhesive side on the edge so that it sticks to the cap. Step 1: Turn over truck cap right side up and line up with your pickup bed. Have a friend assist you in lifting it. Before starting, open your tailgate. When you turn over and lift the truck cap, have your friend hold one side while you hold the other. Slowly walk the truck cap over the pickup bed until you each have it lined up as best as possible on both sides. Gently lower it onto the pickup bed. Step 2: Align the truck cap with clamps. There are two front and two rear aluminum hardware clamps. First, climb into the pickup bed and go as far to the front as possible. Align the clamps and hand tighten them with a socket wrench. Next, close the tailgate and make sure the truck cap stays aligned. Adjust and realign if needed. Finally, climb back into the pickup bed and align the clamps that go closest to rear as possible. Hand tighten these clamps as well. The final step to putting a truck cap on your pickup is securing it. You can further tighten the clamps by hand with your socket wrench. However, you may also choose to use an impact power wrench with a socket adapter to securely tighten the clamps as much as possible. Putting a truck cap on your pickup is a nice addition to your vehicle. It gives you versatility by allowing you to transport cargo and adding personal customization, while increasing your pickup’s value. 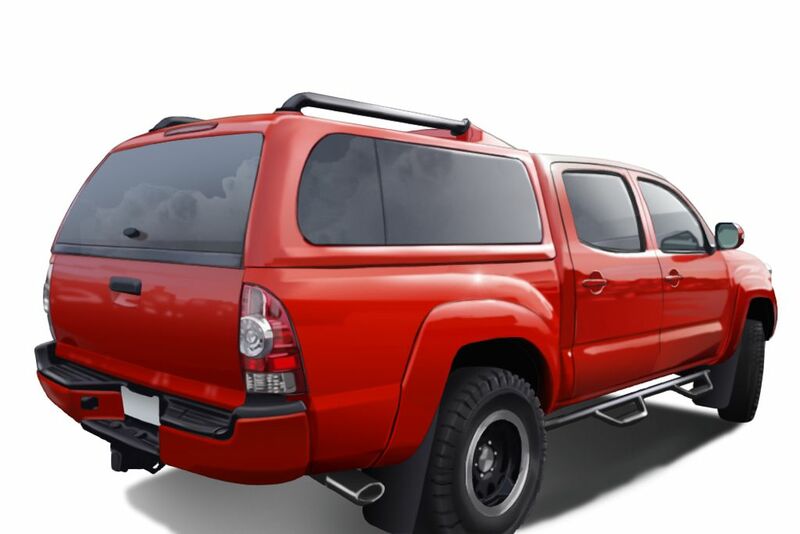 The steps are as simple as finding the right truck cap for your pickup, preparing it by applying weather stripping, aligning it with your pickup bed, and securing the truck cap to complete installation. When you are done, you will be driving around with a new asset attached to your pickup.